Featuring our most popular cigar accessory brands: Lotus, Integral, Vertigo, Colibri, Firebird, Xikar, and Zippo. Sale runs until 6/17/18. 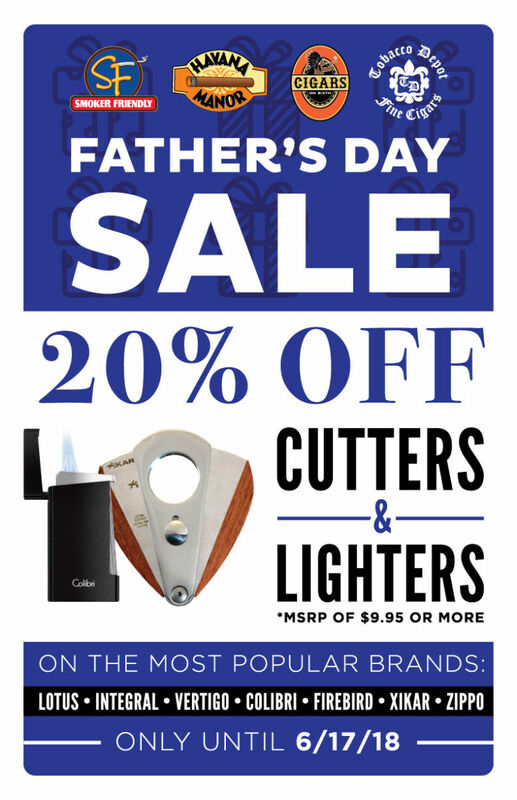 This entry was posted in News, Uncategorized and tagged Cigar Gifts, Father's Day. Bookmark the permalink.